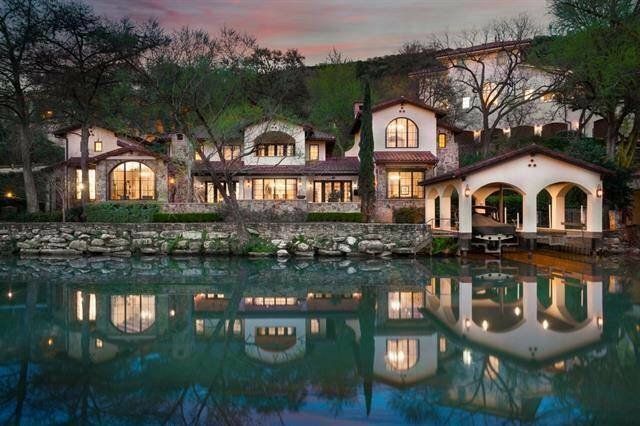 Spectacular Santa-Barbara style home located on an exclusive private canal on Lake Austin. Bespoke craftsmanship with the finest materials includes stone walls, travertine flooring, warm oak beams and divided-light windows. Main floor opens up to a terrace overlooking pool/spa, surrounded by lush landscaping and hill country views. Features a 3-car garage, wet bar, study, game room and its own bar. With 160'+/- waterfront access and two boat slips, properties like this are scarce.